and dill. Bake for 10 minutes or until golden. To save time, use roasted rotisserie chicken from the deli. Also feel free to substitute chicken with smoked salmon, shrimp, or whatever you have in your fridge! 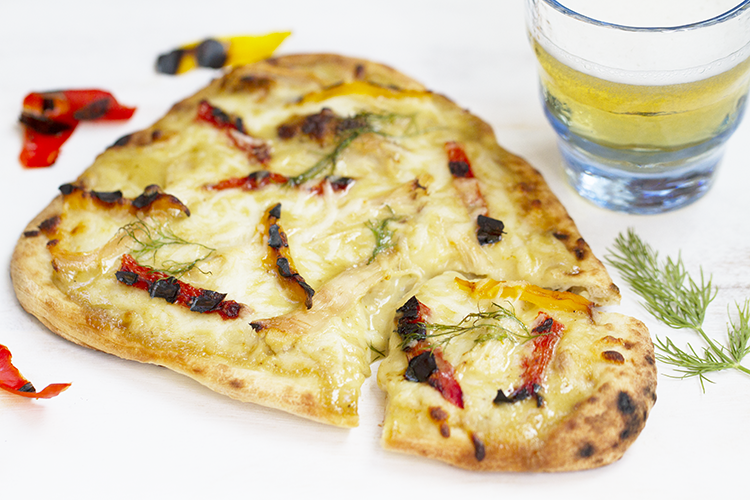 Add pineapple, eggplant or create your own version of Thai green curry naan pizza. Enjoy!